Article after article on content marketing highlight the blog as the flagship of digital marketing. Yet, here you are, and you are and you still have not taken the plunge and added blogging to your social media efforts. Why not? If you are like many people, it may be because you are holding on to a few prejudices about blogging. Unfortunately, if you continue to hold onto these prejudices, you will continue to miss out on opportunities to reach new customers, promote your brand, and create engagement on social media. 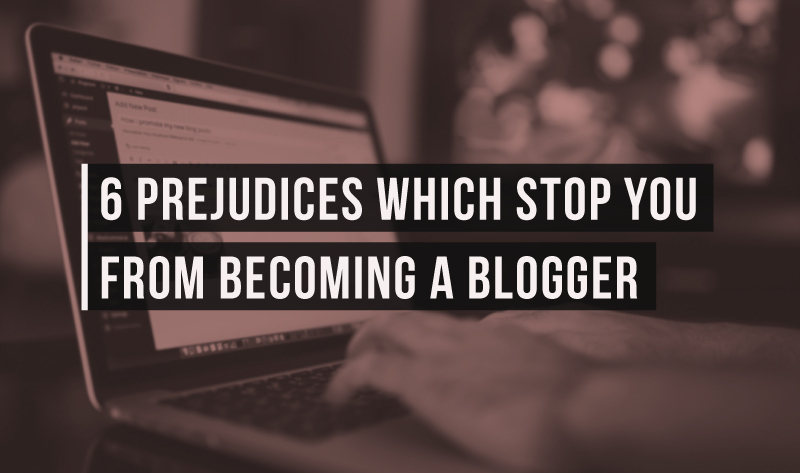 Here are 6 common prejudices that serve as roadblocks to blogging.